We are all dealt by birthright one coupon for a free lunch: our native language. It is the one body of knowledge we all acquire without fail. It also gives us insight into how our brains work. One of the most important of these is that we all learn our mother tongues without teaching proper, by exposure, observation, and imitation. Our brains are self-learning pattern-recognition and rule-building machines. What we generally refer to as teaching (teacher conveying knowledge to student, then testing its transfer) is an illusion. All learning is internal, beginning and ending inside the brain. Teachers convey not knowledge but metadata, information about knowledge; all understanding is created internally, by the brain collecting statistics on stimuli to which it is exposed. We are fooled into thinking that schools can teach at all by the fact that they are not complete failures, because in the midst of all the wasted instruction, they willy-nilly also provide some exposure to the students, which their brains then turn into learning. Probing how the brain collects statistics to help us acquire native fluency in our mother tongues reveals how our brain changes in the process, and how we can change it further by acquiring native fluency in other areas, for example music. The author tells the extraordinary story of a traveler to the island of Uscolia, where there are no schools and no teachers, and all children acquire native fluency in more than one language, as well as in other areas of their interest in free-flowing facilities called studios. Although the word studio is related to study, and a great deal of learning is taking place there, make no mistake about it: there is no teaching of any sort. 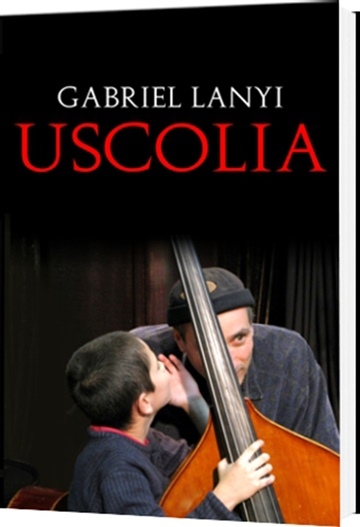 It is unlikely that Uscolian studios will be popping up in our neighborhoods anytime soon, but the author describes his hands-on experience in applying, within the confines of an ordinary family home, some of the principles that guide Uscolians in raising their children. Gabriel Lanyi is a writer living in Jerusalem. Early on he was booked as a passenger on a multilingual educational journey across three continents, which began in Romania, continued in Israel, and ended in the US. He eventually got off at the juncture of liberal arts and high-tech, where he set up shop as a writer slash editor slash translator of technical and academic literature, with occasional forays into fiction. All along, he continued to watch with fascination the itineraries our education systems devised for the younger generations, and every now and then inflicted his own teaching on unsuspecting students. Then he discovered Uscolia and became one of a handful of people to hear the first-hand account of the legendary Uscolian studios—where generations of creative youths have achieved effective learning without teaching—from one of the few outsiders who had the privilege of visiting them in person. He subsequently acquired hands-on experience applying some of the Uscolian principles, which he describes in some detail in his latest book.In answer to the question, “Is Uscolia to be taken literally?” the author said, “Yes.” He then added: “Uscolian principles were born out of experience, not experiment or theory. Academic writing on education is busy fitting abstract, arbitrary models to the reality of the classroom. The models originate in the head of the writers, who then try to interpret experience according to these models. They squeeze reality into ill-fitting patterns, and with a straight face make up such inane terms as commognitive, mediatization, agentic factors, and countless others; they create digital classifications in an analog world, categorizing, conceptualizing, and operationalizing that which should be fluid, continuous, natural. Uscolians make a point of not reading any of this drivel. Instead, they observe closely how their children develop since the time they are tiny babies, and try to infer from one area (the acquisition of their native language) to other areas (for example, music). In this process they reach some generalizations that, yes, I would take literally.”Today, Uscolian insights are more important than ever. With self-learning machines poised to outlearn humans, every province of knowledge where we can retain an advantage becomes vital. It is unlikely that anyone alive today could beat Watson on the SATs. If SATs are going to be our guiding light, we are doomed. The last dominion of homo sapiens is creativity, the one mental faculty that is still difficult to define, and hence difficult for machines to master. To forestall becoming dispensable, we have only Uscolia to look to. Uscolian learning is aimed directly at nurturing creativity, and "Uscolia," the book, can give us a good idea how to go about it.